Ryan Lochte faces a bleak future in endorsements after being dropped by four sponsors on Monday. Lochte in Rio. (Image via the swimmer's Twitter account). Ryan Lochte’s Olympic career is likely over, and his status as a pitchman may be as well, according to sports and crisis communications experts. The swimmer’s contentious retelling of a supposed Rio de Janeiro robbery, culminating in his apology nearly a week later and acknowledgement that he exaggerated the tale, set off a chain reaction of sponsors dropping him on Monday. Speedo was first, followed by Ralph Lauren, then lesser-known brands such as mattress-maker Airweave and Gentle Hair Removal. The contracts had been estimated to be worth about $1 million. Supporters of Lochte contended those sponsorship deals were expiring anyway. However, experts said that the saga, known on social media as #LochteGate, #LochMess, and other hashtags, will be difficult waters to tread, even for an Olympian. "Based on how this has been handled, the fallout and sensitive nature of the situation, and given where he is in the athlete lifecycle [at 32 years old], I’d be surprised if he’s able to regain the endorsement power he had previously," said Shawn McBride, EVP of sports at Ketchum Sports & Entertainment. "From a mainstream perspective, and a Madison Avenue perspective, the likely fallout of the situation is he is persona non grata." McBride added that Lochte could attain endorsements from "endemic brands," or companies whose products are tied to a particular sport, such as Speedo. However, that would be a best-case scenario for Lochte, he said. "The fact that Speedo U.S.A. was the first to make this move to distance itself from [Lochte] spoke volumes," McBride noted. "It was not surprising to see others take similar steps." To Lochte’s benefit, the next three non-Olympic years will be an opportunity to "drop off the public radar," McBride added, noting, "This could provide an opportunity to demonstrate meaningful contrition, and maybe shift the narrative a little more." Lochte recently retained the services of Matthew Hiltzik, CEO of Hiltzik Strategies, whose past clients have included singer Justin Bieber, entertainment executive Harvey Weinstein, and football star Manti Te’o. Hiltzik Strategies’ Twitter account has been disseminating stories and points of view more favorable to Lochte, with particular attention being given to a USA Today report that questioned the dominant narrative offered by Brazilian authorities and much of the media. While McBride said Lochte should make a "substantive gesture" beyond "select media interviews," such as the sit-down with Matt Lauer that aired on Saturday, the 32-year-old also has to "reinvent himself in the pool," said Rupert Pratt, director at Mongoose Sports & Entertainment. "If he goes into the world championships and dominates, he will pick up new endorsements — no doubt about that," he said. "This will get forgotten to some degree." Pratt contended that the swimmer should not contest the details of the night in question. "Unless he can prove he’s not guilty," he added, "contesting the story fuels the [news cycle] and this negative perception of him." Saying Lochte got "a gold medal in perpetuating a crisis," Spencer Baretz, founder and partner at Baretz+Brunelle said via email that his "non-apology" lacked empathy and remorse. "Acknowledging how one’s actions affected others is the most important step down the road to repairing a breach of trust," he explained. "The next-wave apology press turned negative, focusing on his ‘non-apology apology,’ creating more ‘smug, entitled American’ stories about him." Lochte’s story isn’t the first controversy faced by an American swimmer. Michael Phelps was arrested for a second DUI charge in 2014, five years after he was caught smoking marijuana. However, Phelps’ comeback story, which also included a contrite chat with Lauer, was viewed more sympathetically. "We’re all human; we all make mistakes, even if you’re an Olympian," Pratt said. 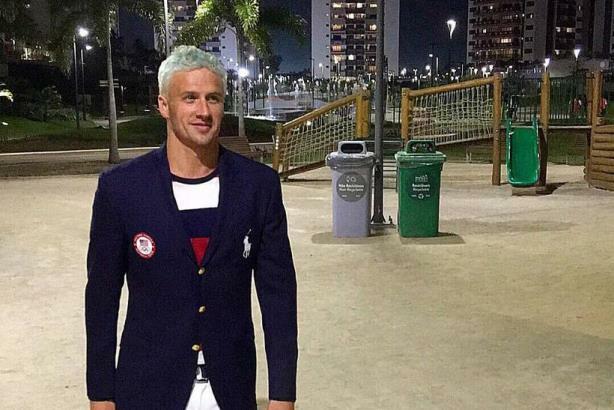 "I think [Lochte] missed that opportunity to say, ‘I was stupid. I’m sorry. It was a mistake.’ The story would’ve moved on. But he may yet have a small window of opportunity."